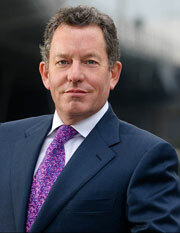 Laurence Dale is frequently sought for advice in matters of casting and career development. He has given conferences with young artistes to help them in their future careers and to theatres as Consultant to share his wide knowledge of new emerging talent. In 2000, Laurence Dale was invited to take over from Mstislav Rostropovich as artistic director of the Evian Festival les Escales Musicales. Each year, he creates exciting programmes attracting a wide audience, with prestigious artistes and orchestras, to the wonderful concert hall La Grange au Lac, built entirely in wood. After the success of the last eight seasons, Laurence Dale continued for a further five years till 2013, as the Artistic Director of Les Escales Musicales. Since 2010 he has been named Musical Director of the Evian Festival and created the Evian Festival Orchestra with musicians from such august formations as the Vienna Philharmonic, the New York Philharmonic and the Berlin Symphony Orchestra amongst others. Having welcomed artists of the calibre of Michel Plasson, John Nelson, Laurent Korcia, Christophe Rousset, Paul Meyer, François Weigel, Justus Frantz, François-René Duchable, Juraj Valcuha, Marlis Petersen, Barbara Hendricks, Vincent de Kort and Marc Minkowski, in May 2009 Laurence Dale made his European conducting début at the Evian Festival with the Sinfonia Varsovia in a concert including Wagner’s Siegfried Idyll and the Fauré Requiem with the Ensemble Vocal de Lausanne. As artistic Director of the Opéra de Metz within three months he had turned around the fortunes of that provincial house to be one "amongst the 5 most interesting in France" (forumopera.com). He directed the modern premiere of Auber’s Gustave III in parallel with the Verdi first version of Un Ballo in Maschera, Gustavo III allowing a fascinating comparison of the two masterpieces the season continued to attract international attention with rarely performed works including Cherubini Medée and Thomas Adès sulphurous Powder Her Face, finishing with Meyerbeer Les Huguenots received by a 30 minute standing ovation. Metz was described at that time as "incontournable sur le paysage lyrique français". Invited by Intendant Martin Turba to the Bad Ischl Lehàr Festival, Laurence Dale reconstructed and staged Der Zarewitsch, Land des Lächelns and Graf von Luxemburg to resounding success. He edited and directed Haydn l Incontro Improvviso conducted by Adam Fischer for the Haydn Festival at the Estahazy Palace, Eisenstadt, which represented Austria in the Hannover Expo 2000, receiving unanimous praise from all the Viennese critics. In 2008 Classic Feell foremost cultural magazine in South Africa wrote Laurence Dale ... is changing the face of opera in South Africa. During two and a half years, as artistic consultant to Opera Africa, Laurence Dale devoted much time to preparing and coaching young South African artists, many from the townships, and giving frequent masterclasses. 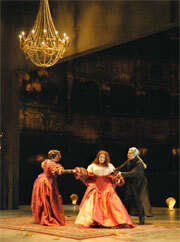 In 2006, his staging of I Capuleti e I Montecchi Bellini was hailed as the most significant production in SA in the last 10 years and won the award of most important cultural event of 2006. He devised, designed (featuring the paintings of renowned SA artist Andrew Verster) and directed for the Civic Theatre, Johannesburg Opera Extravaganza starring Kammersänger Johan Botha, featuring many young singers who had never put a step on stage before. 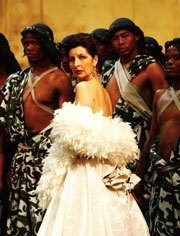 This led to the invitation to mount operas regularly in Johannesburg, initiating a significant cultural change in SA. His most recent production in the Civic, shared with the Pretoria State Opera was Aida.Verdi The completely sold out performances received standing ovations and proved that opera could be a vibrant art form in South Africa. 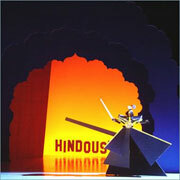 Aida was brought to an even wider audience when he staged extracts, for the popular TV programme Strictly Come Dancing. Outreach has been one of his most passionate interests; winning new audiences and helping underprivileged, as well as younger and older people to experience the marvel of opera for the first time, either as audience or as performer. Whilst in Metz, his plans included performances in the city suburbs for troubled areas or défavorisé communities. As a result of his open door policy, 41% of the audience set foot in the Opéra-théâtre for the first time, whilst bringing between 400 and 500 children and young people into the théâtre to every production mounted in the season. He has led performances in hospitals and prisons as part of his outreach policies, and helped launch many young singers during his time as artistic director of the Opera Studio of the Deutsche Oper am Rhein or through his teaching and many masterclasses worldwide. His production of Agrippina for the Handel International Festival Goettingen in 2015 was further invited by the prestigious Brisbane Baroque festival and was awarded the 2016 Helpmann Award for the Best Opera Production. The production returned to Germany and is currently performed in the Staatstheater Oldenburg season 2016-17.